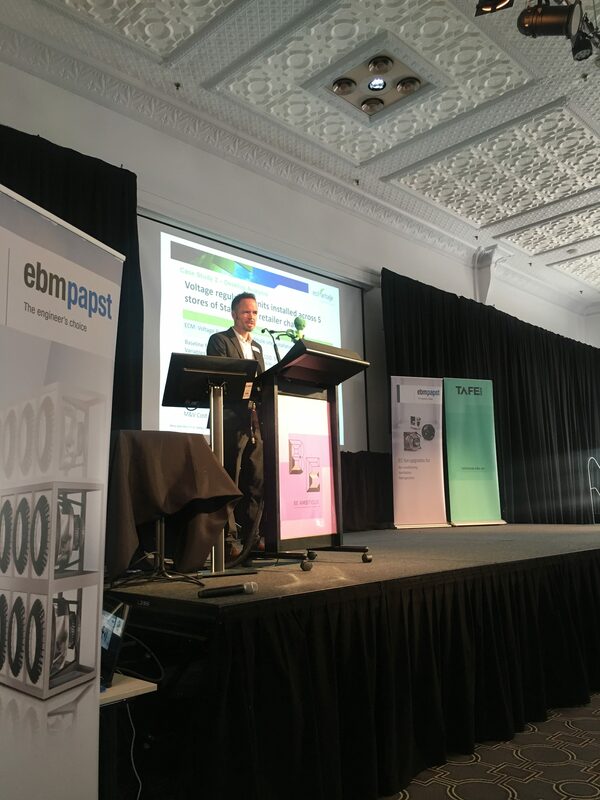 At the recent EBM-Papst GreenDay held at Sydney’s Ultimo College, Ecovantage Sales and Business Development consultant, Bertram Duerr gave a presentation on Ecovantage’s involvement in PIAM&V (The Project Impact Assessment with Measurement and Verification). EBM-Papst, a “global leading manufacturer and supplier of fans, blowers and air moving products”, together with Ultimo College, hosted GreenDay, an event to uncover what drives sustainability in HVA&R (Heating, Ventilation, Air Conditioning and Refrigeration). This was a great opportunity for Bertram to share with the audience of students, teachers and members of companies from the facility management, energy efficiency and HVAC services industries, the results and learnings from case studies in M&V for retail stores. Like with any new opportunity Ecovantage take this is an encouraging indication of growth in the environmental sustainability industry which is great for Ecovantage and even better for the planet! To find out more on how M&V can help your organization, visit http://www.ecovantage.com.au/measurement-and-verification-services/ or call Ecovantage on 1300 721 335. Slides from Bertram’s presentation can be found here.